Since returning from vacation I’ve really been trying to keep my stress level in check so as to avoid another little meltdown like the one I had before I left. Oh, I didn’t mention that? Yeah, it happened. A part of maintaining this stress-free attitude is leaving work at work; not checking work email from home, not bringing projects home with me, not even talking about work when I get home. Another part of it is getting back to doing things I like. What are those things, you ask? To be honest, I had to think about it myself. Luckily the past two weeks of post-vacation reality have presented multiple opportunities to do things I like so I didn’t have to think too long. Of course opportunities to do things I like present themselves all the time, but what I’m really working on here is my willingness to say yes. So let’s quit talking about work and get back to the things I like. I like spending time with family and friends. Last Friday when I really wanted to come home from work and lie on the couch, we instead went to dinner with friends. This week when my mom mentioned that she was doing hair for a musical and rehearsals were sounding great, I opted to drive home to see said musical, which also resulted in spending time with mom, dad, dogbrother, and friends. I like baking. 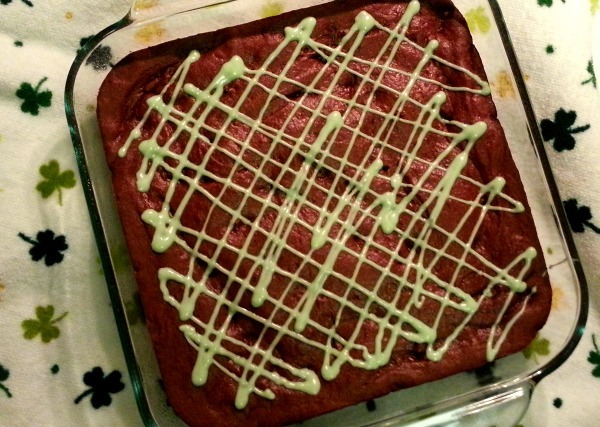 Today, I made some St. Patrick’s Day brownies. I basically used Ali’s recipe, but added some mint and chocolate chips to the batter, as well as some melted mint chips on top. I like watching TV. Scandal is my newest obsession. Oh, and a Wahlburgers marathon definitely happened today. I like musicals. As previously mentioned, I went to my high school alma mater’s performance of “Bye Bye Birdie” on Thursday night. 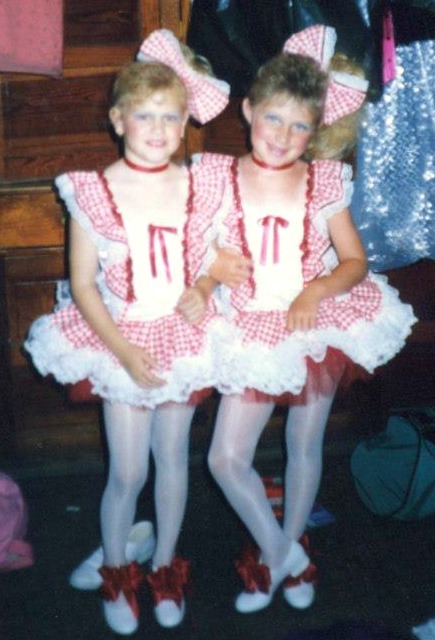 The icing on the cake was catching up with my dance teacher, whose basement dance studio contains some of my best memories from 13 years of lessons. She’s 84, still teaching, and somehow still looks exactly the same as she did when I started tap lessons at the ripe old age of 5. I like cooking. 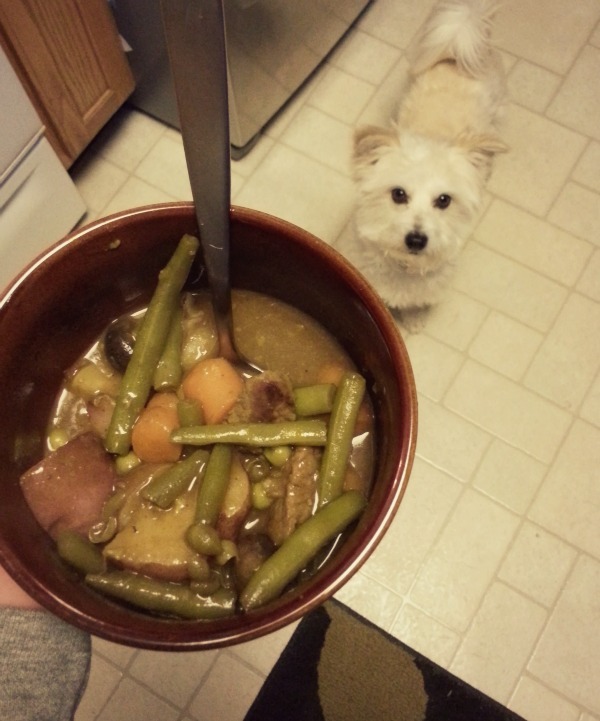 Today I also made Irish beef stew that Fielder felt I should share. I like sleeping. And less-stress sleep is way better than more-stress sleep. I like reading. 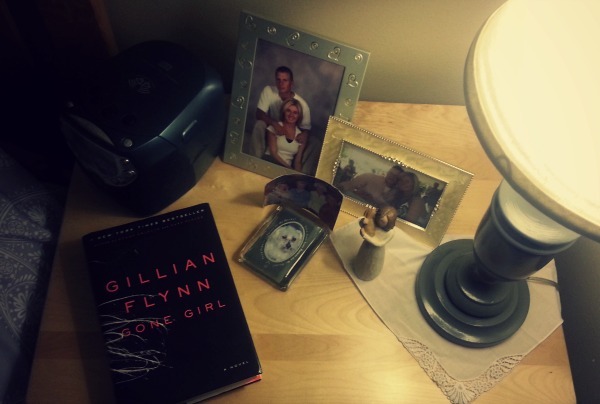 I made it about half way through Gone Girl while on vacation. And since we’ve been home, I finished up a DIY (<<<something I also like to do!) lamp upcycle so I could trade my usual Facebook-and-Instagram-on-my-phone-while-in-bed-time with reading-in-bed time. And hey, guess what? I also like blogging, as evidenced by two posts in one weekend. See you soon! i’m so glad to see you back here lady. and i’m very happy to see you taking charge of that mean stress monster! i super missed you.